Life insurance is an important and extremely valuable product that helps many families find stability after the loss of a loved one. That being said, does everyone need life insurance? No, life insurance is not a necessity for every individual. As a general guideline, if anyone in your life would be negatively affected financially by your death, then you need life insurance. Most people mistakenly assume that if you don’t have children, then you do not need life insurance. There are many scenarios in which couples without children would benefit from owning life insurance. If one of you died tomorrow, would the survivor’s finances take a hit? Would the surviving spouse’s income be enough to pay the mortgage, credit cards, and auto loans? If you’re currently childless, but plan on having children, buying life insurance ahead of time is one of the best decisions you can make. The younger and healthier you are, the cheaper life insurance is going to be. Mothers especially want to get life insurance before getting pregnant if possible. Pregnancy can bring complications and life insurance companies mitigate this risk by increasing premiums. No one has more need for life insurance than those with children. Your children depend on you for shelter, food, clothing, and more. If you died, who would provide for them? Could your spouse easily manage it alone? If you’re a single parent, you doubly need to make sure your children will be taken care of if you die prematurely. 69 percent of single parents have no life insurance… what happens to their children if mom dies in a car accident driving home from work? Sure, grandparents may be around to care for them, but what about their finances? Can they afford to suddenly raise children again? Life insurance will help provide needed funds to ensure your children grow up happy and healthy, even if you are no longer around to provide. We can’t forget about stay-at-home parents. You may not provide income to the family, but you do everything else. You are a chef, housekeeper, accountant, chauffeur, babysitter, and teacher all in one. The cost to replace all these services isn’t cheap. The average cost of daycare alone is nearly $1000 per month. If stay-at-home parents have life insurance coverage and pass away, the life insurance death benefit would allow the surviving spouse to take much needed time off work to spend with the children and help pay for services that the stay-at-home parent lovingly provided. No one has more need for life insurance than those with children. As retirees, you likely do not have any dependents, but having life insurance will ensure that your loved ones are not financially burdened if you passed away. Life insurance protects your family members from having to pay medical expenses, funeral costs, and any outstanding debt. Life insurance can also benefit your surviving spouse. If your death would cause your spouse to lose pension benefits or Social Security income, life insurance can bridge that gap so your spouse’s standard of living goes unchanged. Depending upon the size of your estate, you may be hit with estate taxes after your death. Life insurance can help cover taxes, fees, and other estate related debts, so your loved ones will not have to sell off valuable assets to cover these costs. Life insurance not only protects your loved ones, but it can protect the business you worked so hard to build. If you, a fellow owner, or key employee were to die unexpectedly, how would this affect the business? Life insurance can help business owners in a number of ways. A life insurance policy can be structured to fund a buy-sell agreement. This would ensure that the remaining business owners have the funds to buy the company interests of a deceased owner at a previously agreed upon price; this arrangement allows the owners to keep the business while the family still gets money. Key person insurance protects a business in case of the death of a key employee. This insurance policy death benefit is payable to the company providing owners with the financial flexibility needed to hire a replacement. Many single individuals do not have a need for life insurance because no one depends on them financially. However, there are cases in which a single person would benefit from owning life insurance. Some single people provide financial support for aging parents or siblings. Others may be carrying significant debt they wouldn’t want to pass onto family members. If you’re young and healthy, your insurability more than likely is at an all-time high and you can lock in some of the best life insurance rates possible. If you anticipate a need for life insurance down the road, it might make sense for you to lock in coverage now while you’re young. Each of the different types of people described above have a need for life insurance. Life insurance was created mainly to be used as income replacement, but the product provides other benefits as well. The Life Insurance and Market Research Association (LIMRA) conducts a finance and insurance survey each year. The chart below with 2015 data shows the major and minor reasons at to why owners of life insurance purchased it in the first place. 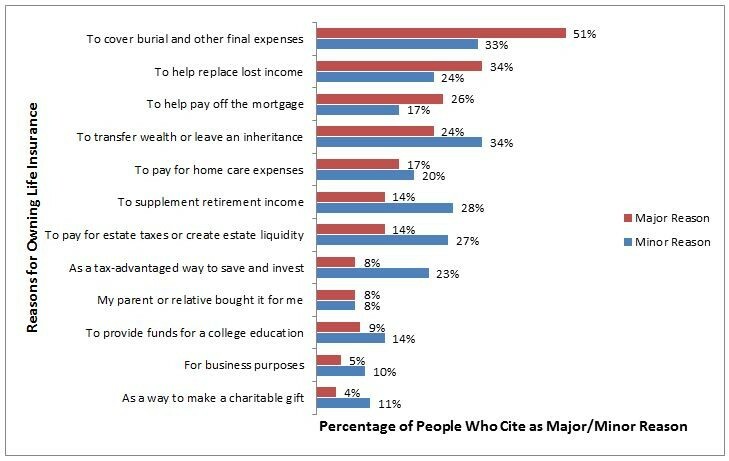 As you can see, just over half of surveyed life insurance owners cite that covering the costs of their funeral/burial and other final expenses is a major reason as to why they purchased life insurance, replacing income is the second most common reason. It’s interesting to hear from life insurance owners themselves as to why they purchased coverage. After reading about the different types of people who need life insurance and reasons as to why people purchase it, is life insurance something that could benefit you? If you answered yes, get a term life insurance quote to see how little it may cost to get coverage. Unlike many online life insurance quoting engines, we don’t ask for any personal information upfront. Feel free to window-shop in peace! Term life insurance is simple, affordable, and customizable. Quotacy searches across the nation’s top insurance carriers to find the plan that fits your needs, time frame, and budget, and we will be there for you every step of the way ensuring the process is as smooth as possible. Apply for life insurance today. 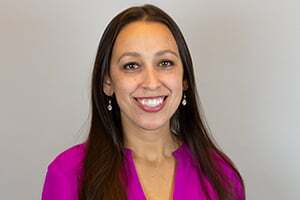 I can’t agree with you more because it is true not everyone needs life insurance unless the one has the criterias you have mentioned and thanks for sharing the valuable premise about insurance.